So friends, what is it going to be? We are getting close to year’s end. Many of us are weary, some exhausted, and only a few of us still have some spark. Something tells me that the year’s effects have many of us deciding to take a seat in the third row. 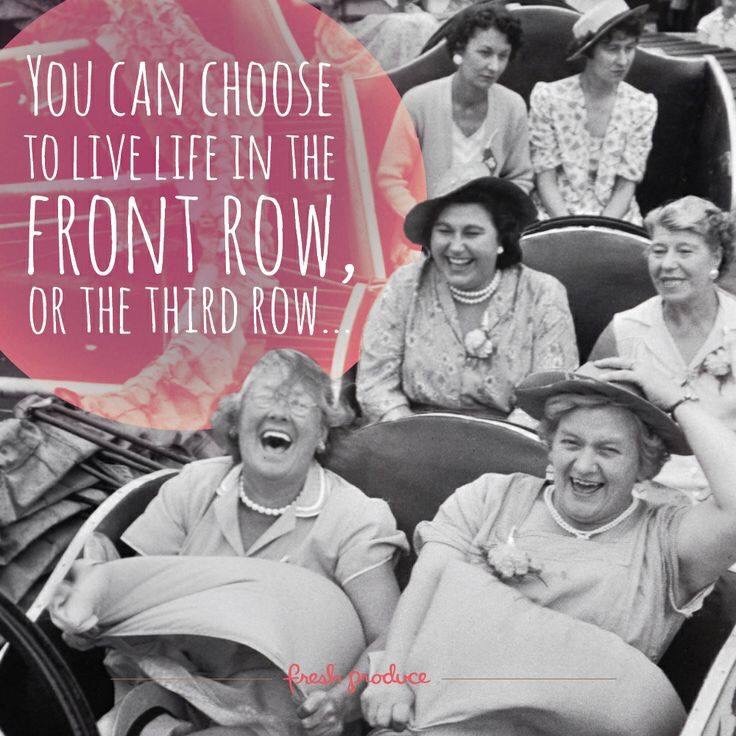 But look at the first row ladies, they are so enjoying the experience, having a laugh and relishing the exhilaration and freedom they felt as children. Who says we can’t be so free when we’re older? Or this far into the year? Is it you? Take a risk, jump in the row of seats at the front and see where the experience takes you.